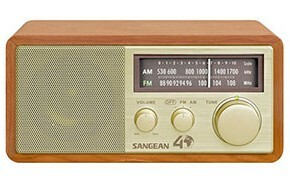 Remember analog radios? Remember how tough it was to sometimes find a clear station? You had to carefully turn the knob until the white noise was faded away and the voice of the disc jockey came through loud and clear. At that point, you moved that antenna in different directions until things became as clear as you could make it. That’s kind of how it is with hearing God’s voice. We have to actively tune in to Him to hear His voice; otherwise we will miss it. 1. First thing’s first – Don’t turn your TV on first thing when you wake up or come home. Let God be the first thing on your mind when you wake up or come home. Begin your day with prayer. 2. Fast – Refrain from food for a day. With each hunger pain, put God on your heart and ask for strength to make it through. Do this regularly or at least from time to time. 4. Read your Bible – If you don’t know where to start, I suggest beginning with the New Testament with the Book of Matthew. Or if nothing else, Just go through it reading the word’s that Jesus spoke (usually printed in red). 6. Listen – Communication is a 2-way street. God communicates His will for us through His Word and through his people. For example, often we will have a calling on our lives that others see before we do. When God’s anointed speak to you, listen but do so with discernment. 7. First thing’s last – End your day the same way it started… with prayer. Think about all the time spent mindlessly watching television, and listening to the radio. Imagine if even half that time was spent getting in tune with God. Instead of turning your TV on in the morning or when you come home, spend a little silent time talking to God. When you get in the car to go to work or come home from running errands, leave your radio off and talk to God. More importantly than talking to God is taking the time to LISTEN to God. Remember, just like with the radio while you are turning the dial looking for the right frequency, at first it may be full of static – issues at work or home, worries about bills, etc) – but the more you tune in to His frequency the more the static fades away, and slowly a voice comes through. Once you hear it, stay tuned to it. Keep your antenna pointed where it needs to be in order to keep the signal strong (fast, pray, read Bible, avoid worldly things). This entry was posted in Hearing God. Bookmark the permalink.